You'll find an awesome new selection of Jewelry Making Kits for Kids & Teens in the store. 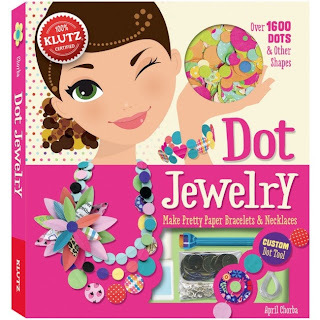 Klutz craft kits include quality jewelry making instructions, lots of project inspiration, and plenty of supplies for making sparkly rings, pretty necklaces, and beautiful bracelets. Kids love spending time being creative. These kits make it easy by bringing together everything they need to get started right away. You'll find them in the Klutz Craft Kits section! 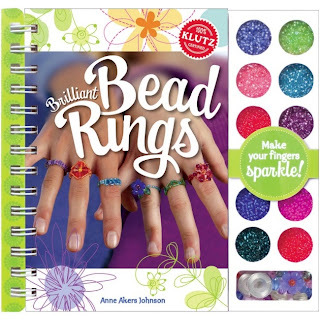 The Brilliant Bead Rings Kit includes a detailed project book, reclosable bead tray, and beading wire. 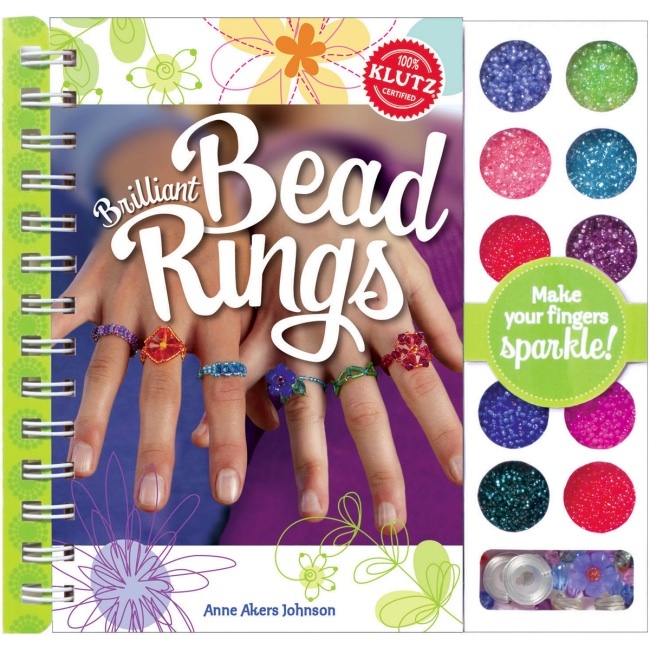 The 58-page book includes clear step-by-step instructions for making beautiful beaded rings. This kit includes a colorful assortment of beads, including seed beads, bugle beads, blossom beads, and jewel beads. Plenty of supplies for kids to make a variety of bead rings to wear & share! The Dot Jewelry Kit is a super fun kit for kids to make pretty paper bracelets & necklaces. Kit includes a 56-page project book, pre-cut paper shapes, clear nylon cord, glue, sequins, custom dot tool, work surfaces, sliding cord holder, and dot-by-number templates. This kit is filled with over 1600 pre-cut dots & other paper shapes. Kids will learn how to mix & match the paper patterns, colors, and shapes into a variety of creative jewelry pieces! The Ribbon Bangles Kit makes it easy for kids to create beautiful wrapped bracelets at home. Kit includes a 52-page project book, 5 bracelet forms, 54 feet of ribbon in 9 colors, and glue. 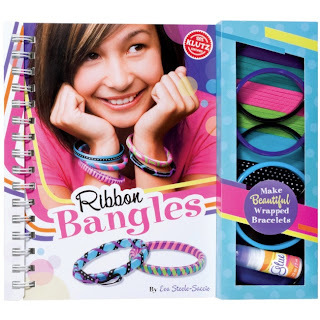 The project book includes step-by-step instructions for transforming simple bracelets into colorful chic bangles. This is fun craft project for friends to get together and have a bracelet making party! Visit the Klutz Craft Kits section for details on these kits and to see our complete selection of awesome Klutz craft kits for kids & teens. With Klutz, you know you're getting the best craft kits for your kids. Weekend Kits offers Creative Art & Craft Kits across a variety of craft & hobby categories, including quilting, sewing, jewelry making, embroidery, knitting & more! Stop by today and be ready to create something new on your next Weekend at Home.